If you are reading this, you probably have a Kindle book or document (a MOBI file) which you wish to load onto your Kindle. Loading MOBI files onto your Kindle couldn’t be easier. In this short tutorial, I will show you how to copy your Kindle book or document into the Documents folder of your Kindle. What exactly is a MOBI file? 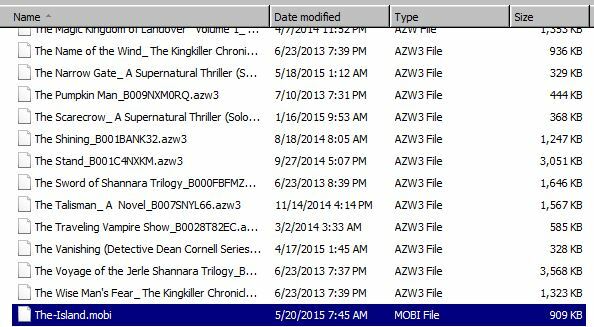 MOBI is the file extension used for documents which are specifically compatible with Kindle e-Readers. Perhaps I sent you a copy of one of my novels, such as The Island. Or maybe you downloaded a MOBI file and want to know how to copy the file onto your Kindle e-Reader. First, locate the MOBI file in the directory you downloaded the file into. This might be your Downloads folder. Connect your Kindle to a USB port on your computer. After several seconds, or in some cases up to a minute, your Kindle will become listed as an available drive on your computer. Notice in this case the Kindle is listed as the “E Drive” on the computer. The main hard drive is the “C Drive”. The Kindle may be listed with a different letter on your computer depending on your specific configuration. Your books are stored on your Kindle inside the “documents” directory, as seen above. Right-click on the “documents” folder, and select “PASTE.” This will copy your MOBI file onto your Kindle. That’s all there is to it! Now go back to your list of drives, and locate your Kindle Drive (the “E Drive” in this example). Right click the Kindle Drive again. 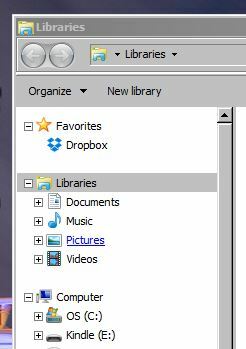 Choose “Eject” if using a Windows computer to safely remove your Kindle from your computer. Disconnect your USB cable. Your new book should be available on your Kindle. Once you copy a MOBI file onto your Kindle, the process becomes very simple. Wait! What if I don’t own a Kindle? No problem. You can still buy Kindle books and download Kindle files. All you need is a Free Kindle Reader for your computer, tablet, or phone.